Home : Contact Us : Site Map : About Us : INFOMAN is Hiring! StepUp Accounting is a very flexible accounting system with integrated A/P, A/R, and G/L modules which makes the software be easily put into service. The system can handle individual clients as well as groups. 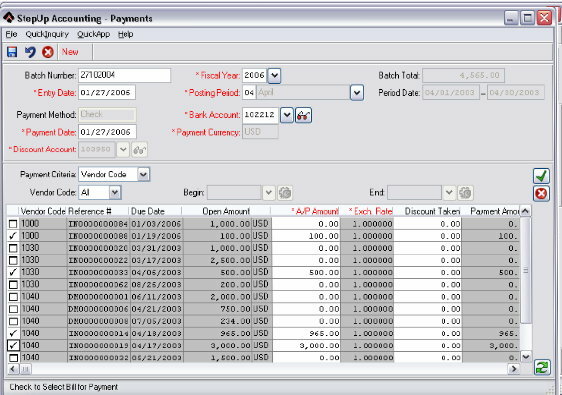 The user will be able to customize menus and define account security structure. 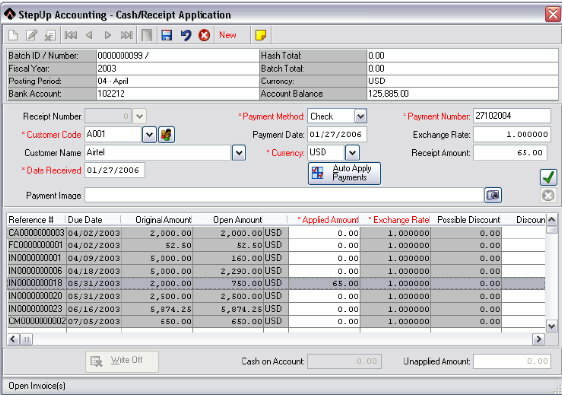 Each transaction can have multiple remarks or notes. This product can support large number of companies or locations. You can search the system using universal lookups. This product allows the user to perform accounting in different currencies. Full Excel integration gives you a supreme flexibility in reporting and transporting data. 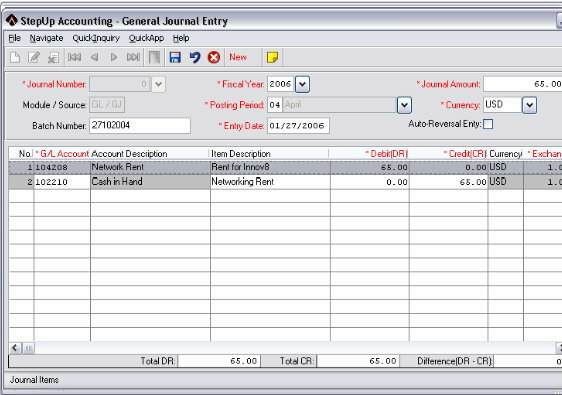 The product has the ability to show accounts summary. Balances of all accounts can be viewed on-line. This program gives you the ability to perform a true month closure.